Spring rolls may be made 6 hours ahead and chilled. Just before serving cut spring rolls in half diagonally, with a serrated knife. 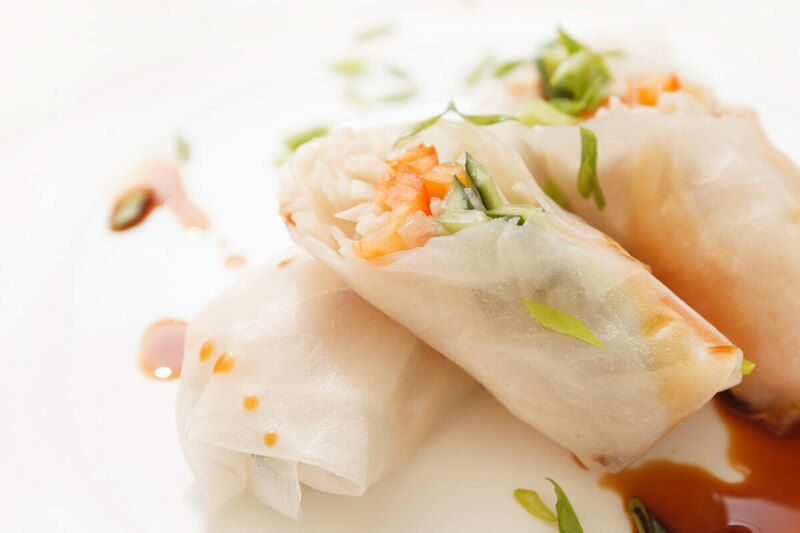 Arrange spring rolls on a platter, garnish with coriander sprigs and serve with the sweet chilli dipping sauce. Sweet chilli dipping sauce: Combine all ingredients in a small bowl and stir to combine. Refrigerate until needed.